If you make a ton of overseas calls, you may want to look into Skype&apos;s relaunched Skype to Go service. Announced today, the revamped service makes it easier for users to call international numbers, and allows them to call from non-internet phones like landlines. The ease of use comes in the form of direct numbers users can call to reach pre-saved numbers. Before, callers would have ring into a voice menu that would then give them a list of numbers they can call, but now that&apos;s no more. 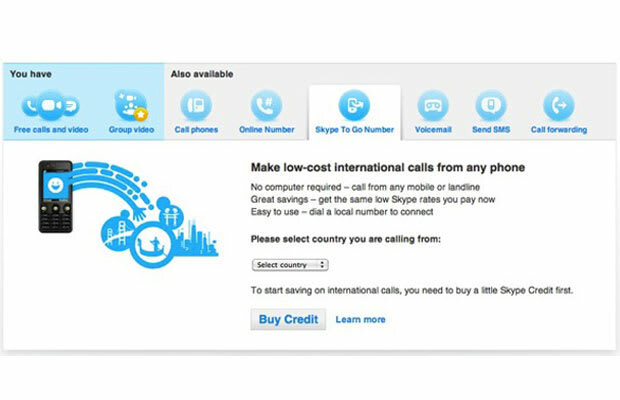 Users can program up to nine direct-dial numbers in any of Skype&apos;s foreign markets. Ballin&apos; on a budget, this is.